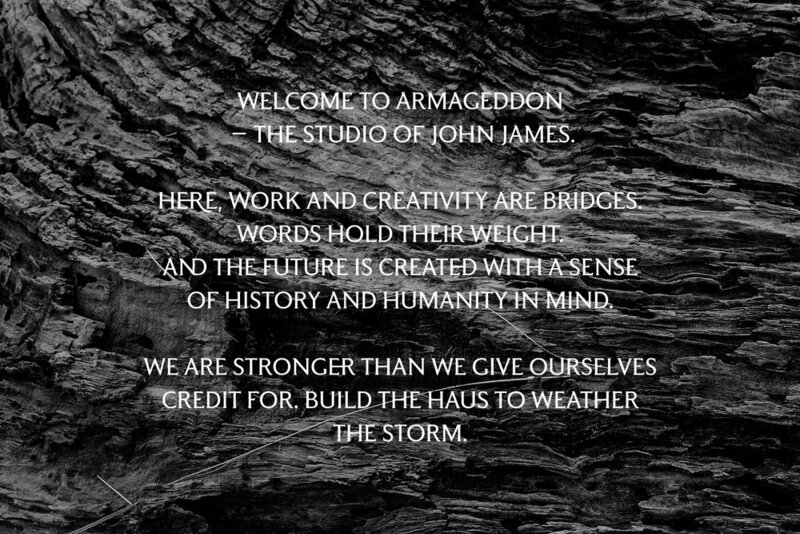 Armageddon is the creative studio of John James — creating work intended to intrigue, inspire and drive imaginations forward. Build the haus to weather the storm. Built to outlast. Resilience is life. The spectrum of design is a confluence of elements, all of which inform and influence the ever-evolving landscape of what design thinking and practice becomes. Working with Armageddon is never a formula, but rather, a collaborative storytelling tailored to your specific voice and the voices of those you want to reach. It is aiming to create beauty absolute - embracing all sides.